Natural Language Generation is a technique that uses Artificial Intelligence to make sense of data in different applications. NLG tools analyze a wide range of structured and unstructured data in volumes too big to handle according to the business needs. Data analysts use it often to present the data in a specified manner which is flexible to customization. Business Intelligence and Big Data Analytics come from the most frequent users of NLG tools. There is, therefore, a gamut of companies offering NLG tools in the market and before we decide on which to choose, it is paramount to have a close look at the best options. One of the global leaders in NLG technologies and tools, they have patented NLG technologies available for use via Arria NLG platform. The widely known is the Arria NLG Engine which is the most advanced NLG engine. It is also best known for its reports generated by NLG narratives. There is a lot of effort put into forming these narratives. As the tagline goes- ‘ Turn your data into better decisions with Quill’. It does bring out the best and easiest narrative for people to understand rapidly. This eventually aids in decision-making and ebbs away anything that insinuates the process. The smart conversion of loads of data to human-intelligent narratives has landed Quill in the list of best NLG companies. Powered by advanced NLG, Quill develops a story and access it, analyses it and extracts the required amount of data from it. Extracting relevant data from the unstructured data and gathering insights just got easier with IBM Watson. Not only does it understand nine languages but also takes into account emotions and sentiments while converting data and making it even more understandable. The text to speech feature uses REST API to convert audio from an input of plain text. Once audio is ready, it is delivered back to the client. Moreover, it also monitors pronunciation of words. It provides an AI that not only converts required content from data but also an API for that data to be written in any other language. It is called Natural Language Generation Software in the cloud. Apart from this, being a SaaS platform, it facilitates the creation of your own Natural Language Generation Applications in the cloud. Just like the IBM Watson, it also converts text to speech and allows creating of applications and building a range of speech-enabled products. 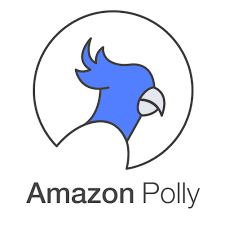 As a text-to-speech service, Amazon Polly, uses technologies to synthesize speech that establishes an uncanny similarity with the human voice. It is known for its smart customer experience across platforms like mobile, online or face-to-face. It can convert any computer into a performance-enhancing smart machine which can further cater to the company’s needs at priority and keep in mind the practices followed. A brand of Automated Insights, Wordsmith is a renowned Natural Language Generation engine. It allows the user to convert data into text in any format or scale. Wordsmith also provides a plethora of language options for data conversion. It ensures 100% customization in gathering insights from data and claims data-driven certainty.